Each month, a different external charity is nominated by a Church Member as our “GiFO” charity. They are then selected and the arrangements for giving are coordinated by the Treasury Committee. 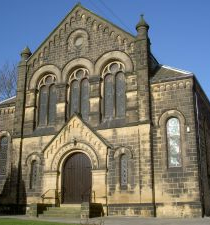 The Church Council was especially keen that external charities should not suffer because we have also been raising funds for the Church’s “BiG Project” to refurbish and improve our premises. Information about the chosen charity is provided in Pews News. Special donation envelopes are made available near the two entrances to the Church for use by those who wish to contribute. Donation envelopes can be placed in the collection plate during the offering, at any time during the month. There will be no pressure placed on anyone to donate! Occasionally and in addition, retiring collections for international disasters will still be arranged, when needed. If, however, you want to make a direct appeal to our congregation for a charity dear to you, please talk to John Sykes, Church Treasurer, before you do so – just to ensure that there are not too many direct appeals going out to members at the same time. 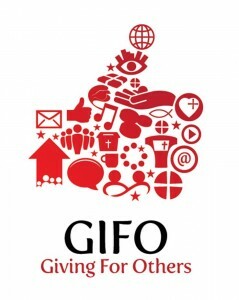 If you wish to suggest a “good cause” to be included in the GiFO calendar in future, please talk to John Sykes, Church Treasurer, who will bring your suggestion to a future meeting of the Treasury Committee. Please give generously in the special envelopes you will find by both doors to the church, and place your donation in the offertory bags on any Sunday during the month. If you are an income tax payer, please gift-aid your donation as this allows the Fund to reclaim tax on your donation and increase its value by 25% at no cost to you. Please place any filled envelopes in the church collection plate on any Sunday or hand them in person to the Church Treasurer, John Sykes.